So, day two of our hospital stay. Not quite sure what to say really. 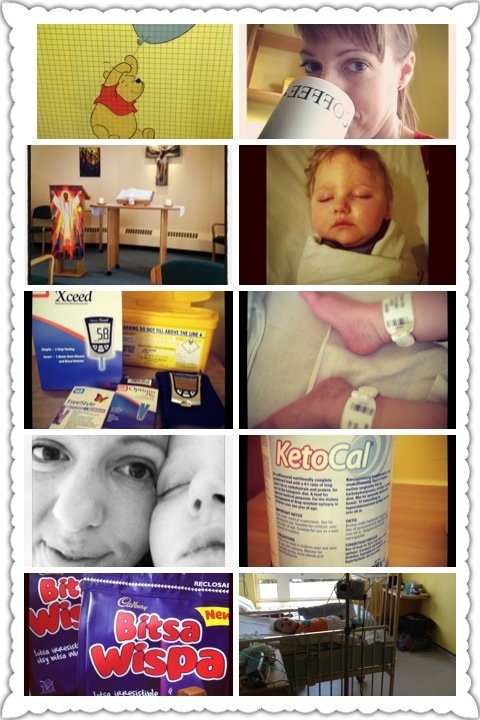 We’ve started Samuel on a medicine called Pancrex to help him absorb fats better. He started on 1.55ml yesterday but we’ve cranked up the dose today. So far we’ve not seen a difference. Dietician is still not happy with Samuel’s nappies and quite frankly, as the one changing them, neither am I! Pancrex is an odd gloopy medicine that I make from a powder and water. It is probably the ugliest medicine I have seen with a very creepy smell. Seizure wise? They are getting worse. He had Midazolam yesterday afternoon but woke up after a three hour snooze unsettled, which carried on through the evening. At 10pm he had 6ml of Chloral Hydrate and thank goodness for that as he finally relaxed and went off to sleep. He woke then at 3.30am and was twitchy on and off from then. Today has so far been very strange, his sleeping pattern is very different and he is very twitchy. We are all hoping that this is to do with his weight loss. He’s not absorbing his fats, so losing weight which is reducing his ketone levels (0.5 today) which could be why his seizures are rapidly increasing. Hopefully if this new medicine works & he puts on weight then we will see an improvement in him. Well that’s what we are hoping and praying for. I want to end this post all chirpy and upbeat but struggling with that to be honest. It’s obvious that we will be here for most of the week, but at least the nurses, doctors and our poor overworked dietician are all fantastic and all trying their damndest to help Samuel. After ketones of 0.5 and 0.4 yesterday, it was quite a nice way to start the day with reading of 0.6. Still ridiculously low but at least it’s an increase, if only a slight one. The dietician had asked me to save her Samuel’s morning dirty nappies (brave woman) and I was pleased to see they looked better. Less, well, fatty. A poo sample is also being sent off to the lab. Our plan now is to stay in another 48 hours, increase the enzyme medicine some more and keep monitoring his nappies and ketones. It will take a bit of time for us to see a weight gain though. In the meantime we just have to brace ourselves and use the medicines we have in our armoury to keep the boy comfortable. 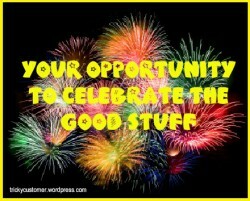 So far today has started off much better than yesterday, so I’m feeling cautiously optimistic. We’ve just got to wait and see. Oh and you may be interested to know that this situation of a child on the ketogenic diet having to use these enzymes is rather unusual. In fact they don’t know of many any in the country it would seem. Why am I not surprised?! UPDATE: This evening it was discovered (despite numerous different people listening to his chest since he was admitted) that Samuel has a chest infection on his right side. Chest infections are one of the things I fear for Samuel so did panic me initially but he’s been started on a course of antibiotics. Infections can reduce ketones. Is this why his have been so low? Will my son ever stop throwing us curve balls? 8.30am: Despite having Midazolam at about 4pm yesterday, he ended up having another dose around 9pm. He then settled and had a good night. So far this morning he has been very relaxed and it’s nice to see him so settled even before his morning medicines. 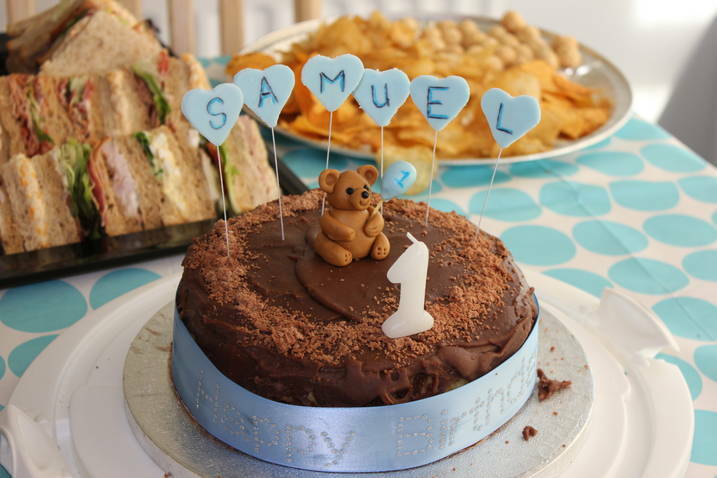 10.30am: It has been suggested that slowing down Samuel’s feed may help his fat absorption. I was asked whether it would work at home having Samuel on a 20 hour continuos pump feed. My response was a big NO, it wouldn’t work. I think the plan may be then to have a very long feed over night and a couple of slightly slower feeds during the day. This should fit in ok hopefully with our daily routine. Well I very much hope so. 9pm: Today has been a much better day. Samuel was very snoozy this morning and although twitchy and did have a number of seizures, he didn’t have any Midazolam and has gone off to sleep on just his usual drugs. We can also report from Camp Sam that his ketones were surprisingly high this evening, 1.9. Not going to get too excited yet as who knows what is in store for us tomorrow. 8am: Samuel had a good night overnight, he slept through like a good boy. But, he was put on a saturation monitor overnight and it was showing that his SATs were low so he needed oxygen a lot of the night. I think this will probably mean we will be in hospital for at least another night. Because of the chest infection. Back to the original reason we came into hospital, we’ve got a new feeding plan which I’m trying to get my head around. It’s confused me as we are reintroducing night feeds and the day feeds are so long (2 hours) I’m not sure what that will be like at home to manage. But if it helps his gut, then who am I to complain! His ketones were 0.9 this morning so at least they are moving in the right direction. It’s all a waiting game really. 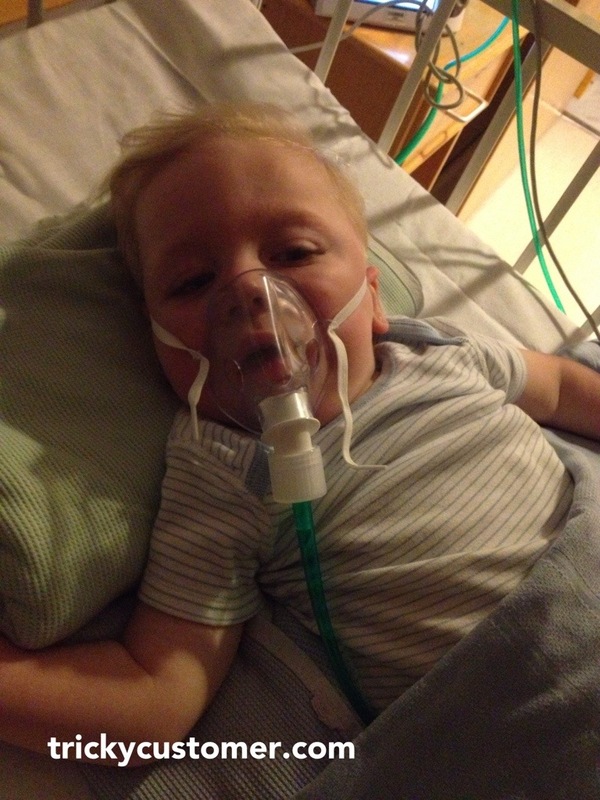 Chest infection: Samuel’s sat levels overnight are causing a headache. They keep sitting at 86 which nurses aren’t happy with and have to put him on oxygen. They want his sats to be in the 90s, preferably above 95. It could be because it’s just Samuel, the medicines he’s on at bedtime, or it’s still a bit of a hangover from his chest infection. Diet/fats: This weekend Samuel ketones were 0.8 and 0.6 but this morning they were 1.0 which was very pleasing to see. We also weighed him and his weight has gone back up to what it was when he was admitted (it dipped during the week which was thought to be because the antibiotics were causing loose nappies). The dietician has been to see us and wants to move Samuel into a tailor made version of the ketogenic diet which should be better for his gut. She has also suggested we increase the speed of his feeds as long feeds may affect ketone levels. She will come back later with a new recipient and feed plan. The only complication is his saturation levels and whether he needs oxygen. That is what is going to keep us in hospital if the doctors are concerned. The gastro doctor is away today but Sam’s paediatrician is due to visit later so hopefully I will be able to report back later with some good (fingers crossed) news. I have some good news for you. We had a pow wow late yesterday with Dr H, Samuel’s paediatrician. We agreed last night to halve Chloral and get nurse just to do spot checks of his sats (instead of leaving him hooked up to the monitor all night) and if Samuel behaves himself then we can go home Tuesday/Today. Well he did behave and wasn’t put on oxygen at all. Our nurse was fab too (but they’ve all been wonderful I must say). We now just need the dietician to be on the ball today. We are going to move to the new feed recipe of some ketocal & a new concoction. The dietician said she should have everything ready to start at lunchtime. So if we are freed today, it probably won’t be until late afternoon. Or possibly early evening as we will need to get some bits from pharmacy. So there is light at the end of the tunnel. But I’m not getting too excited yet. Who knows what the day holds. I’ll save my excitement for when we are actually home and my boy is back where he belongs. 3pm: Well, we are being freed!! The dieticians want to have a play with the new concoction we’ll be giving Samuel. So we’ve agreed that we’ll go home this afternoon BUT will come in as a day patient for a few hours tomorrow to start the new recipe and to weigh the boy. We may also have to come in again on Friday but we are going to see what happens. It’s a pain to have to come back in but knowing that we’ll be able to go home afterwards is fine. 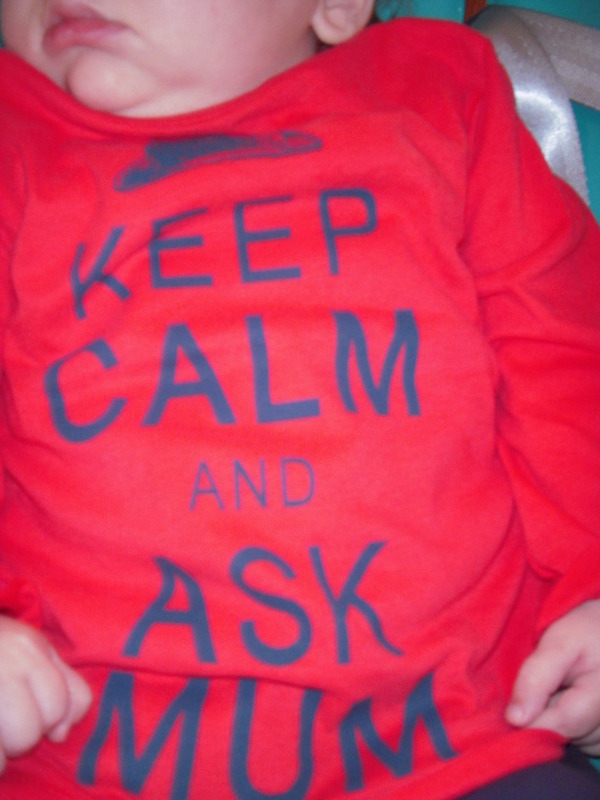 And if it helps my little boy then….. I talk a lot about Team Sam. Team Sam is headed up by, well Samuel of course, and consists of not only his Dad and I, but all the people who love and care for him – that includes Julia’s House who look after him and his therapists and doctors who oversee his care. But I must say one massive component in Team Sam, I mean without it we wouldn’t be able to do what we do so easily, is our old faithful NHS. 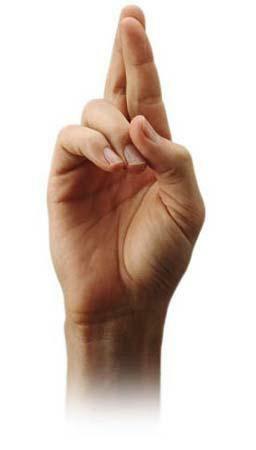 Hopefully during our lives most of us will only have to rely on the NHS a few times and for only minor things. We, however, are so reliant on the NHS for everything. As a family our biggest financial cost of having Samuel was me having to give up work. When I was pregnant our intention was for me to go back part-time, whether that was for three or four days (we were still negotiating that right up until his arrival). But we soon realised that there was no option and I was to give up work and be his carer. I know I’ve forgotten a number of things but I think you get the idea. Anyway, the fantastic NHS pays for all of that. Its all free. We don’t have to have special medical or health insurance. We just get it all because we live in England. I love the NHS. The NHS has helped our little lad defy the odds. One of Samuel’s best friends Liam lives in America. They don’t have the NHS like us and his Mum and Dad have to worry about medical and health insurance. I think they may not even be covered for Liam starting the Ketogenic Diet which we can’t even imagine happening here. I must admit that I do feel guilty about how lucky we are and it makes me feel all the more grateful. So to you NHS here is a massive thank you from Samuel, our family and also all the families in this country who benefit like we do. And so a message to Mr Cameron. The NHS is vital for children like Samuel and without our free medical care, I can’t even imagine what we’d do and the effect it would have on Samuel. Would it mean that we’d have to make certain choices as to which therapies, or worse, which medicines he could have because we, or our insurance company, would be paying and couldn’t afford (or wouldn’t pay out) for certain things? 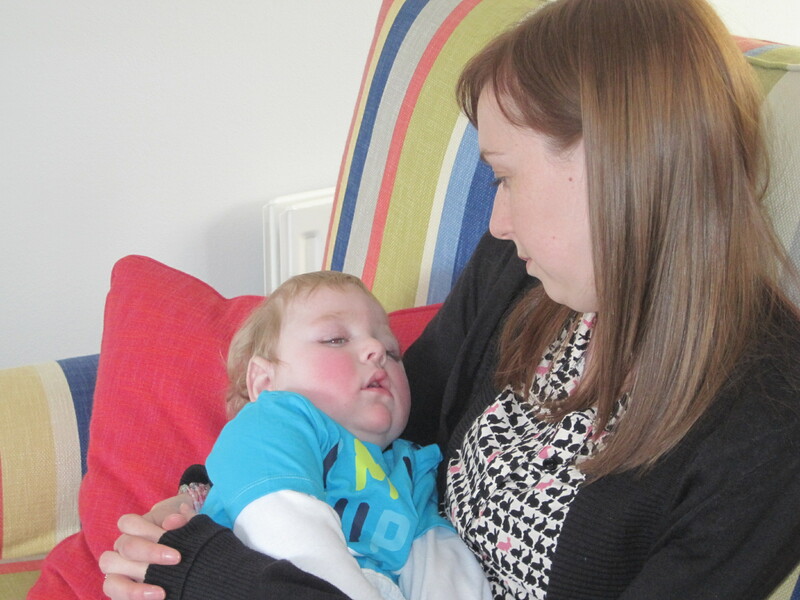 Would we have to look at cheaper alternatives for some of Samuel’s care and treatment? Hands off our NHS Mr Cameron, I’m warning you. Diagnosis – what’s in a name? Samuel got his official diagnosis last April (2011). We were told he had ARX. But we’d already suspected that would be the case because his neurologist (who I continue to be in awe of) suspected that this is what he had and was keen to have him tested for it, so it came as no big surprise. So we have a label, a name. I’ve been thinking lately if having that diagnosis, you know, being able to read about ARX, has actually made much of a difference to us and I’m not sure it has. From MRI scans we already knew what his brain looked like. We already knew his seizures were severe and hard to control. We already anticipated that he would have some kind of development delay. I suppose for some people and their parents it’s like putting the bits of the jigsaw puzzle together to be able to understand what they are dealing with. At Samuel’s diagnosis meeting last Spring we discussed prognosis (ie life expectancy). The genetics doctor told us that it was very difficult to be precise of course and it would take a brave and bold doctor to start talking actual numbers with parents. But then my husband asked if it was months. Did we have only months with Samuel? And her answer? She said yes. That was almost a year ago. The neurologist, who was unfortunately not at that meeting, said later that with Samuel’s condition being so rare, it is extremely difficult to be so definite. There are only a small number of children known to have had ARX in this country, so they are basing their information on such a small number of case studies (plus Samuel has a rare mutation of the (rare) condition). I gather the stats are that 1 in 400,000 babies are born with ARX. So that didn’t help us at all. It makes form filling a bit easier. We actually have something to fill in the box when asked about the condition. But no one has heard of ARX, so we have to explain in some detail what it actually means. I know for some parents and I’m sure the individuals themselves, having a diagnosis will at least be that missing part of the jigsaw. Instead of having to just explain the child’s symptoms they can actually give a name. But for us, we tell people that Samuel has ARX but then have to give the symptoms as no one has heard of it! I always wonder if life would be that little simpler if Samuel had an ‘off the shelf’ condition. Something that people have heard of, seen on the TV and have a vague understanding of. Despite our experiences, I do believe that a diagnosis can be such a positive thing. Last week I was encouraging a close relative to refer her child to be assessed as suspicions are that the child maybe on the autistic spectrum and if that is confirmed at least their parents and school will be better informed about how they can help them. But for our Samuel, well he is still here, battling away each day. He’s surprised all the doctors with just how well he is doing. Since we came home from NICU last January (2011) we have only had one emergency admission and Samuel seems to otherwise be quite a healthy boy. The important message to all parents seeking the golden chalice of diagnosis is when you get it, don’t let it define the child. Because Samuel may have ARX but that boy is making up his own rules. I would be really interested to hear your views and experiences of the difference of having, or not having a diagnosis and what it has meant for your family. UPDATED: Since publishing this post, we’ve had an appointment with the genetics consultant to talk about our options for future pregnancies. I talked about the appointment in Is the impossible, possible? and talked about the options we’ve been given from taking on a dangerous gamble and conceive naturally, have IVF PGD or be on the receiving end of egg donation. The genetic doctors are able to tell me the likelihood of having more children with ARX what our risks are because we have a diagnosis. We have something that the guys in the lab can work with. Since Samuel’s diagnosis they were able to find out if I was a carrier which means we can make decisions about future pregnancies. We know how to not pass this on again. That’s what a diagnosis has done for us. It has stopped us passing on this dreadful condition. It ends here with Sam and I.
Hayley from the blog SwanFreddie has also written a post about diagnosis and why it is important to her family, so please do pop over and have a read. 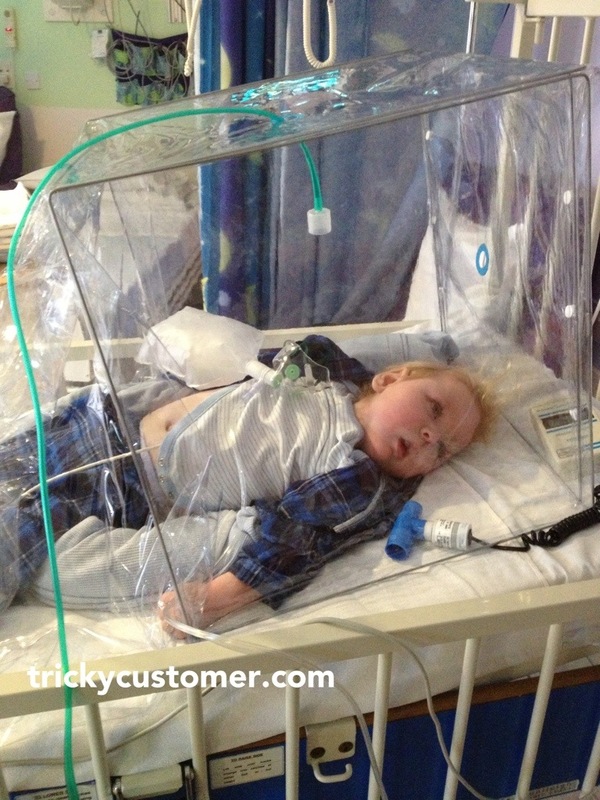 Eric from Pressure Support has also done his usual thing and written a fantastic post about his son Liam’s diagnosis. Definitely worth a read. Well readers, we seem to be having quite a good period at the moment. Very good in fact. Please don’t get me wrong, Samuel is still having seizures every day. But at the moment he doesn’t seem to be having as many in a day as previously and instead of being quite low, they are quite short and sharp. We are often asked how many seizures he has in a day and as we don’t keep a log it is an impossible question to answer exactly. But our staple answer is between five and 15. It just depends on what kind of day we are having and often no two days are the same. For no reason, he could have two dramatically different days. It is just the way things are. When things are going well we average about two weeks in between giving him Buccal Midazolam. Midazolam is his emergency medicine. The dose we give him at the moment is 0.5ml and as it is a buccal medicine you give it orally (the only thing he has orally). You put the syringe into the mouth push it against the inside of the cheek and then squirt. His system absorbs it very quickly, although it can take between five and 10 minutes for him to unravel from the intensity of the seizure and go to sleep. Samuel’s current emergency plan is that we give him one dose of Midazolam if he’s been having a seizure for over 10 minutes or he has had a cluster (of say about four or five short ones) in half an hour. We can give him two doses in 24 hours but if he needs more than two doses within 24 hours or when he wakes up from the second dose and we are worried we have to take him into hospital. So far we’ve not needed to call an ambulance and only taken him in twice. We have open access at our hospital which means we don’t have to go via A&E, and we can go straight to the children’s assessment ward. I should mention at this point that an important note on Sam’s emergency plan is cuddles. Yes, it’s true. 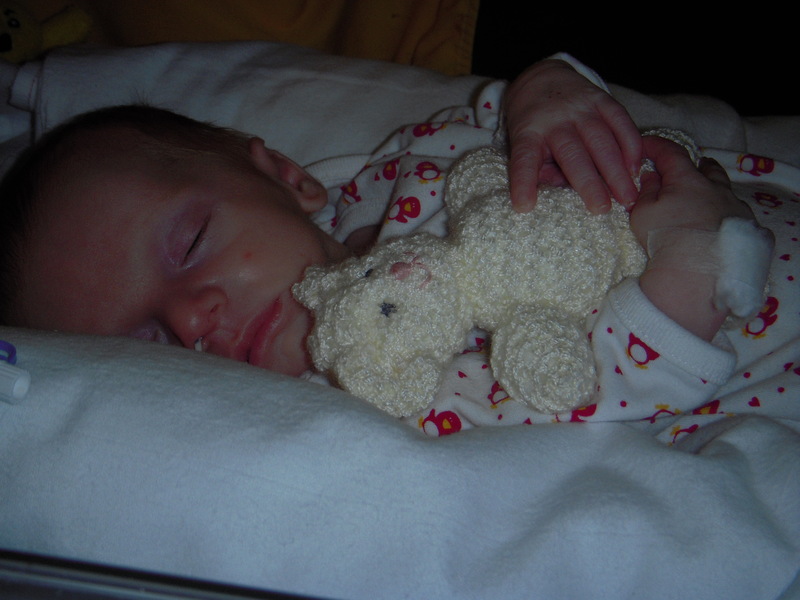 When he’s having a seizure, giving him a cuddle not only provides him with comfort, we find it can sometimes help to take the edge off the seizure (what the NICU doctors would call containment) and it can also help you feel the seizure. You can feel its intensity and when it starts to slow down. We often find that Samuel’s worst time is during the evening. Between 7pm and 9pm is what we call the ‘danger zone’ as this is when the level of Sam’s drugs in him has dropped and we are waiting for the evening dose to top him up. He is often extremely unsettled and more likely to have a seizure. BUT over the last few days (possibly the week) he’s said ‘up yours’ to the danger zone and slept through it! He has been far more settled and we’ve had a lot more settled awake periods which is lovely. Although it is so nice to see him like this, we still have to take one day at a time because although he’s been so good like this recently, it doesn’t mean it will continue. So we enjoy every minute that he’s calm, settled and relaxed and make sure that we remember it as often you can forget what it is like when you hit a really rough patch. Epilepsy, plus ARX seem to make up their own rules and just when you think ‘yeah, everything is going really, really well’ it pokes you in the eye! Samuel likes to hang out with some special friends at home. Edgar and Max hang out with Sam in his nest downstairs. 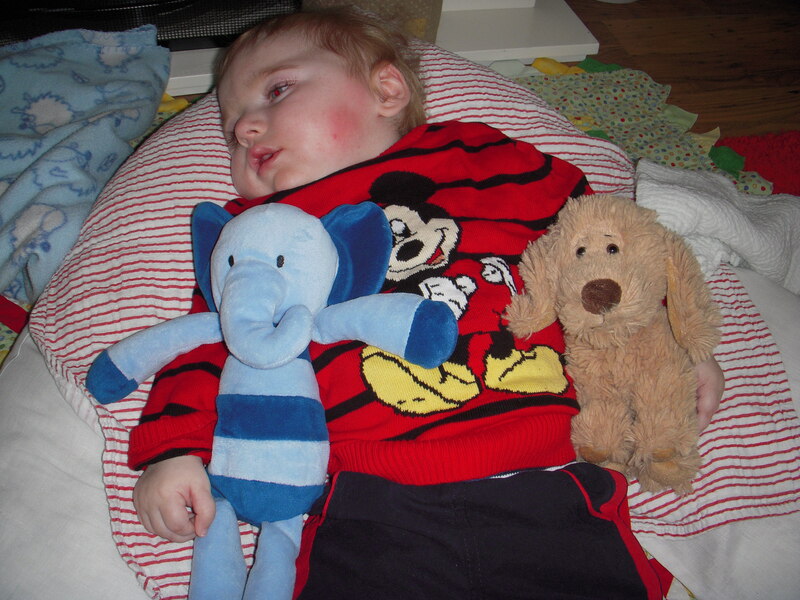 Edgar was given to him by his Auntie T and Max was given to Sam by Auntie C when he was in hospital having his gastrostomy to keep him company. Grannie Bear was knitted for Sam by, well yes you’ve guessed it, his Grannie and she looked after him when he was in his cot in NICU. Grannie Bear stays up in his cot (also known as The Cottage) and looks after it for when he comes up at bedtime. Sam and The Gang.The coolest gang around.